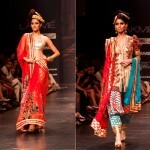 Lehenga is fully embellished with rich and lustrous stones with light weight Dupatta. Dupatta is covered from all sides with twinkling engraved work and rounded stones are scattered on all Dupatta. Katrina kaif has worn her prepared dress with blouse and A-shape lehenga. 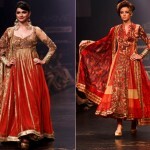 Masterpiece of neeta lulla is shown on her and keeps her dashing and trendy. 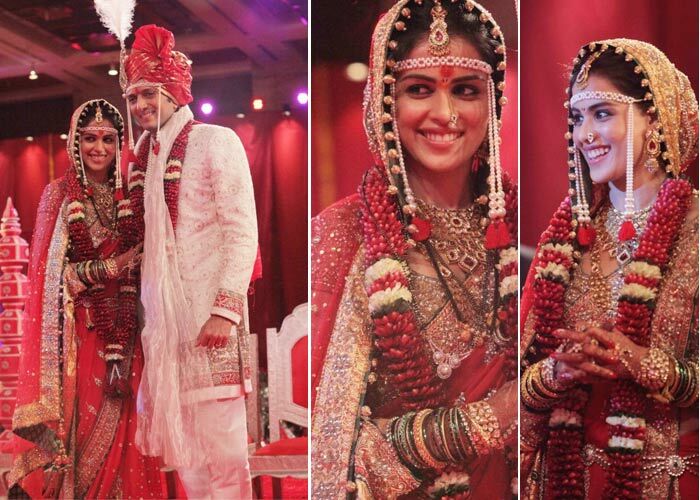 Genelia wedding design is also prepared by her and makes her glorious and blessed. In most of her outfits energetic designs are prepared and have the floral work with multiple stitched fabrics in different layers. Prefer light colors that gives you glimpse with the unique mixture of exclusive colors. Esha deol has been worn her dress, white crystal stones and pearls are scattered on all choli with v shape neckline and sleeves are half.